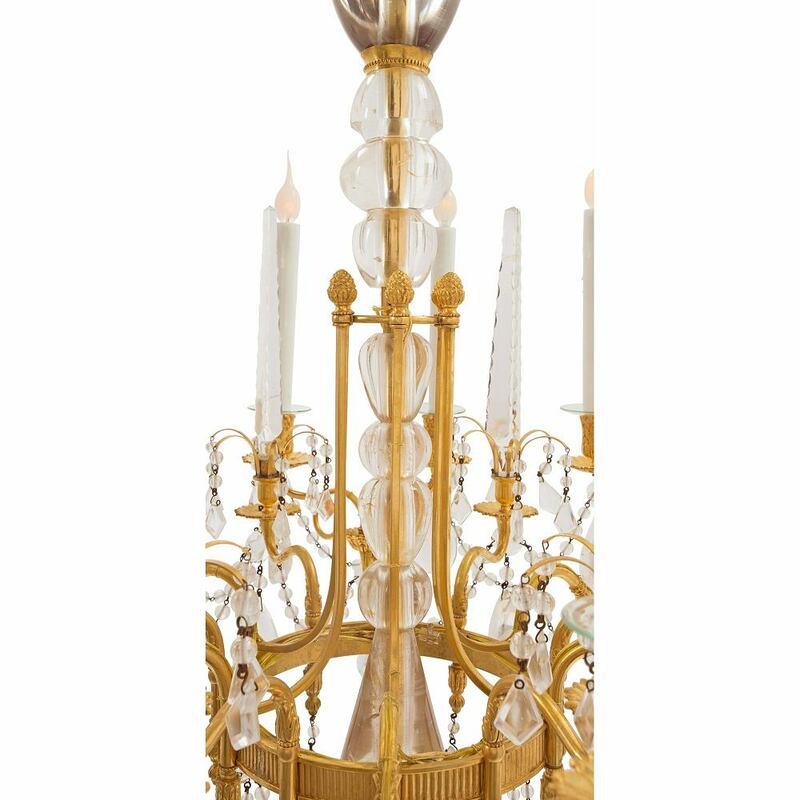 An extraordinary and spectacular Russian Imperial early 19th century Neo-Classical st. ormolu and rock crystal chandelier, attributed to Johan Zekh, one of Saint-Petersburg’s most celebrated masters. 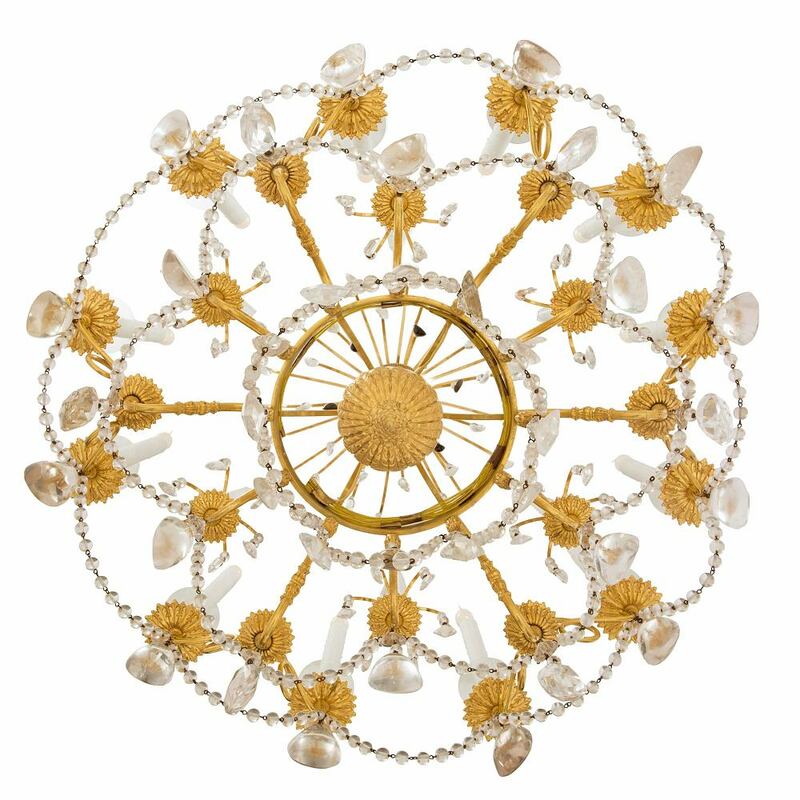 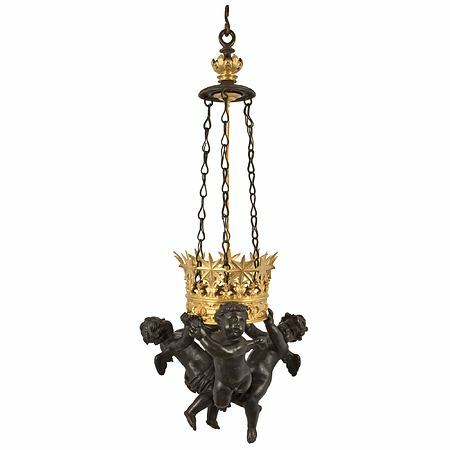 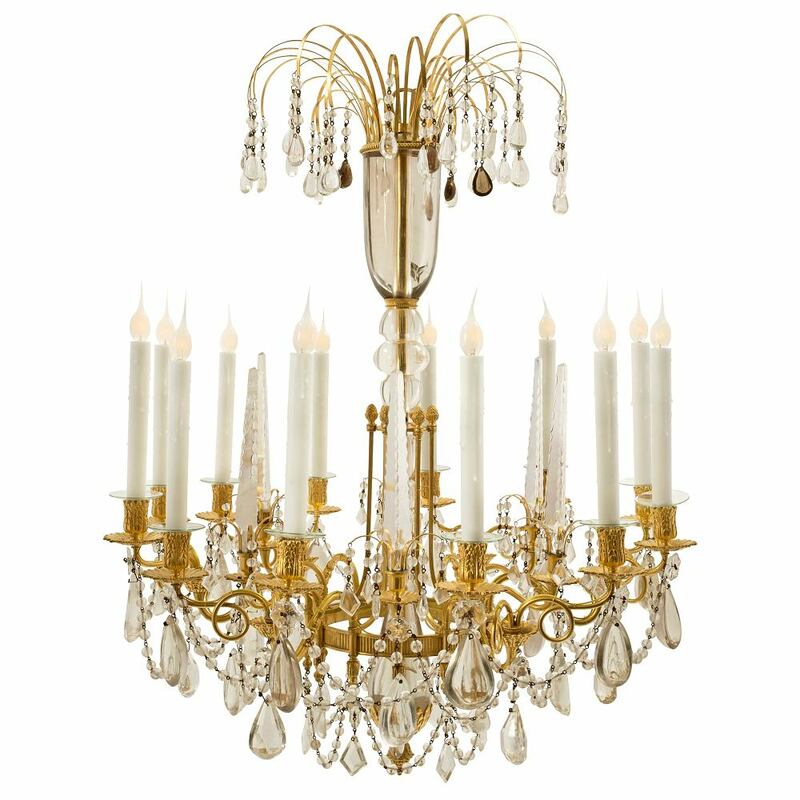 This twelve light chandelier has a remarkable rock crystal encased central fut with an ormolu acorn finial at the bottom. 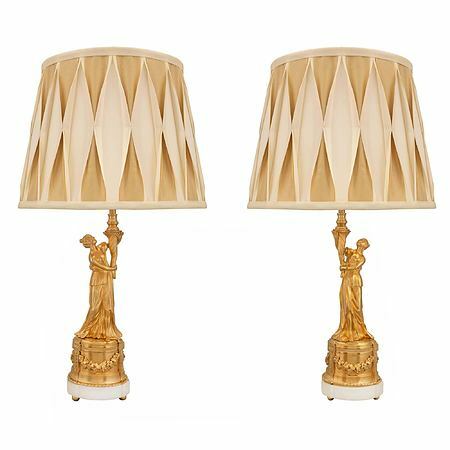 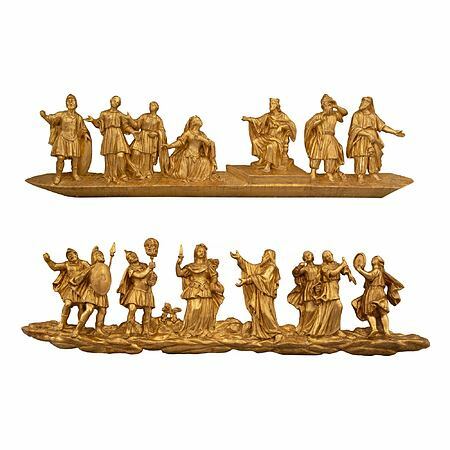 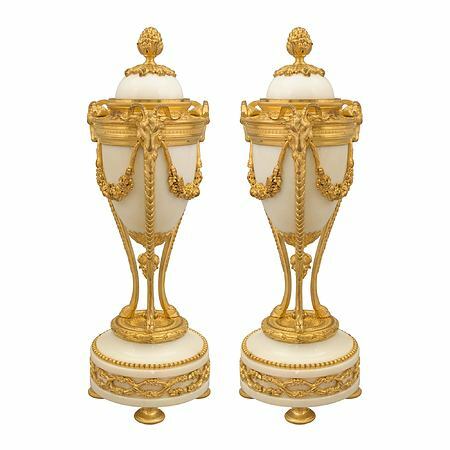 A reeded bottom ormolu tier is decorated by ormolu laurel leaves and is joined to the fut, topped by ormolu finials. 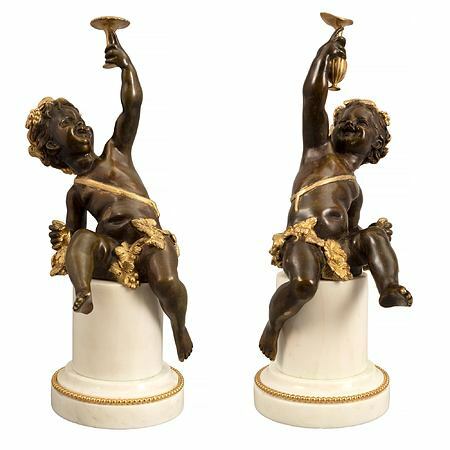 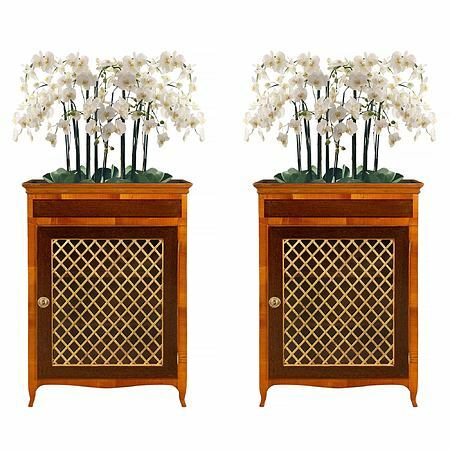 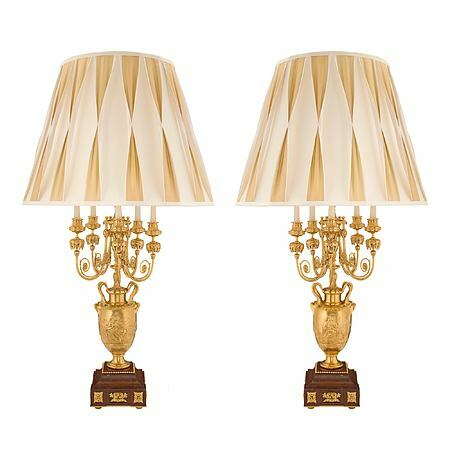 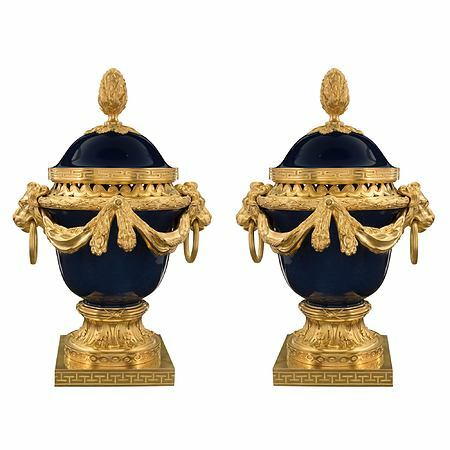 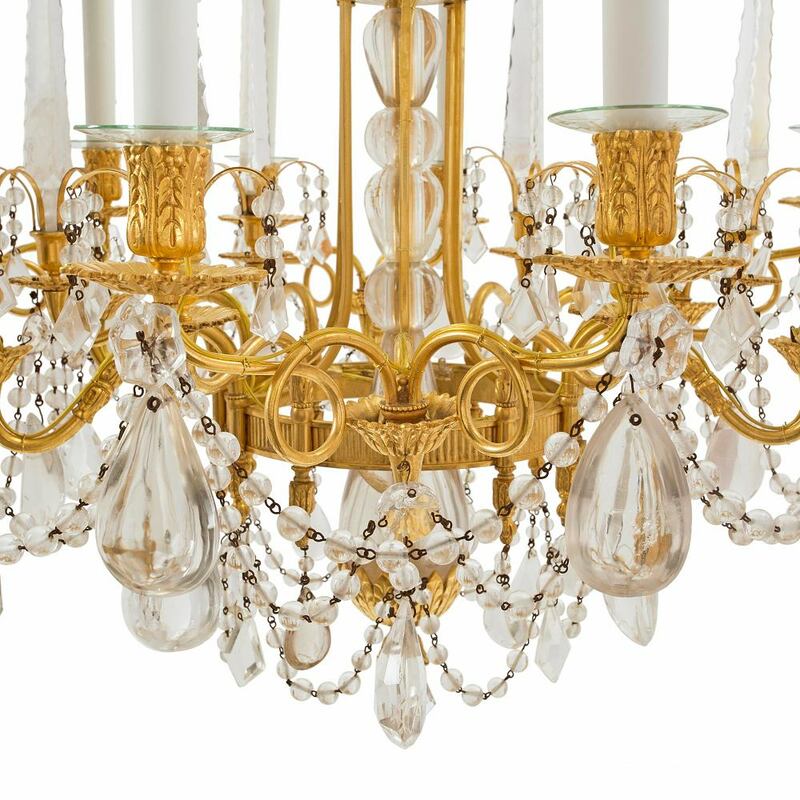 Ormolu C scrolled arms, in sets of three, are accented by large rock crystal daggers. 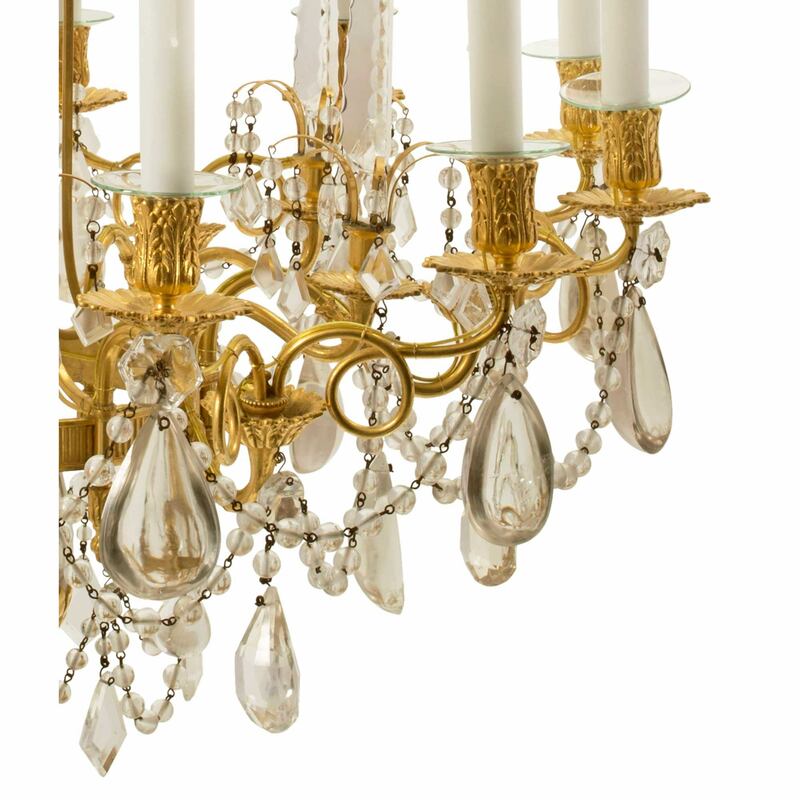 The arms are joined by rock crystal garlands and adorned by rock crystal tear drop pendants. 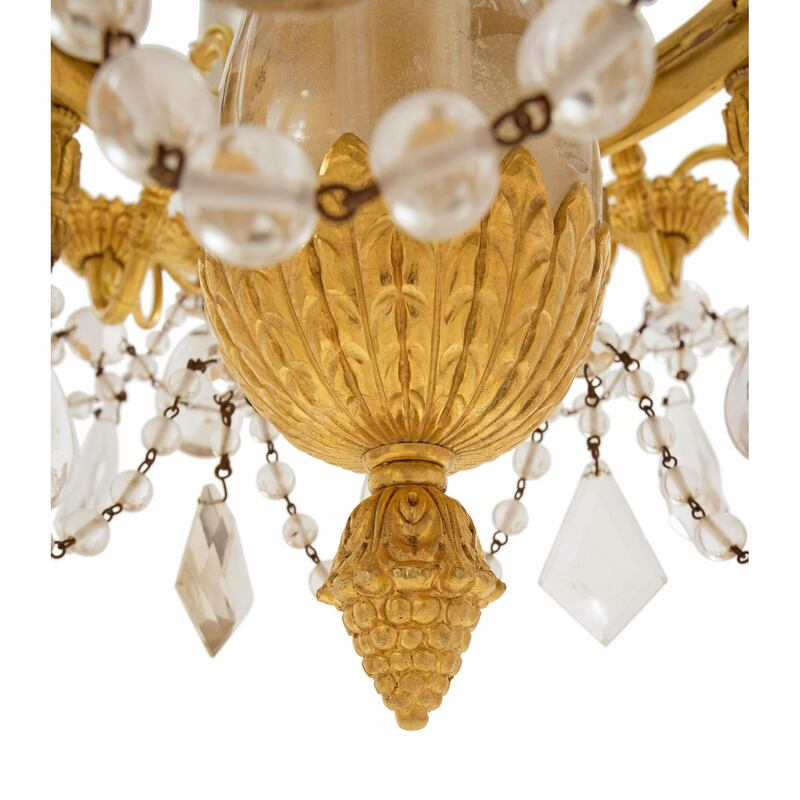 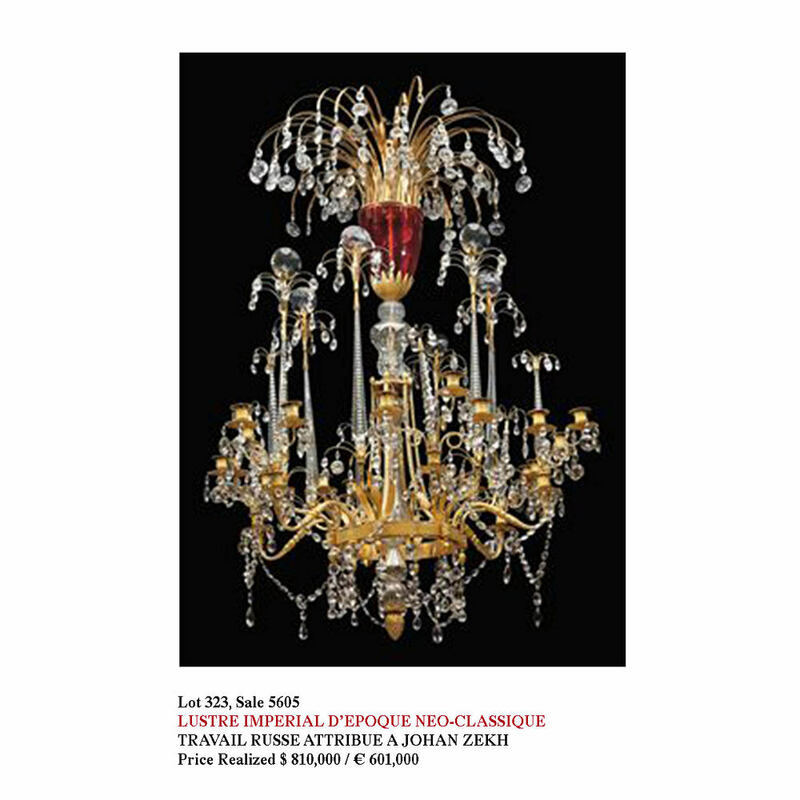 At the top is a magnificent and most impressive rock crystal below a large opulent ormolu spray ending in water drop shaped clear and smoked crystals. 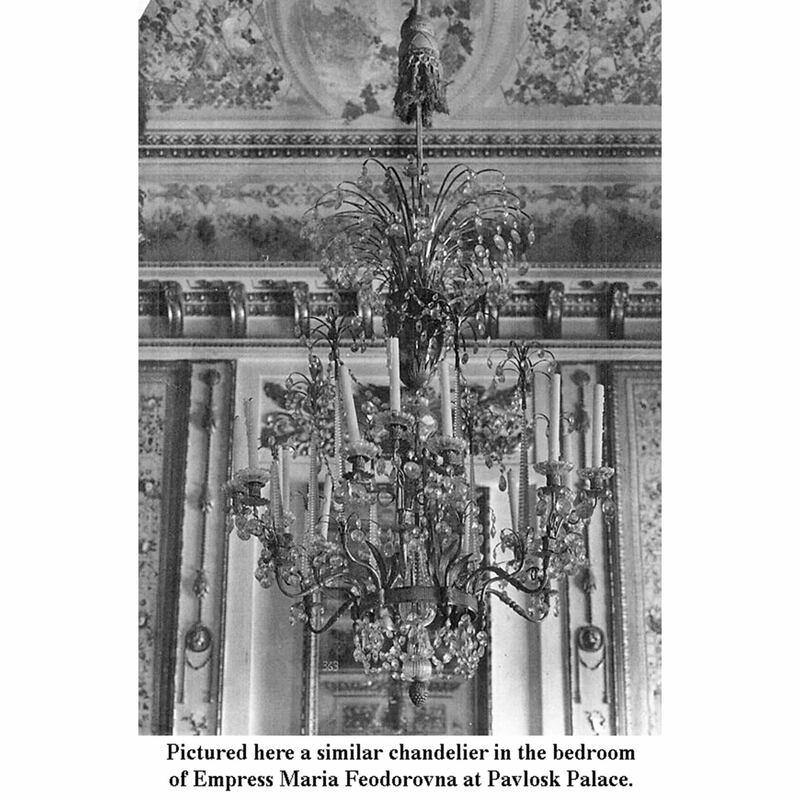 Johan Zekh was one of Saint Petersburg’s most celebrated masters of the 18th century. 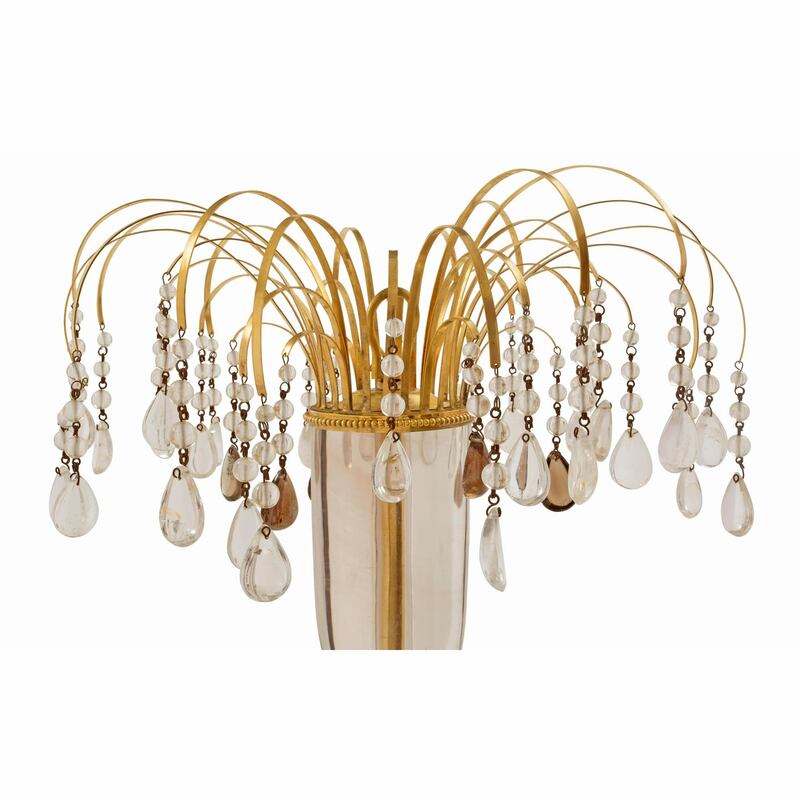 Zekh created 21 chandeliers from 14 different models for the Mikhailovsky Castle.